This toasty delicious chocolate granola is out of this world delicious. It is great eaten by the handful, sprinkled on yogurt or eaten as cereal with milk! Whatever you do, just make some! Any excuse to eat chocolate for breakfast is a good one to me! 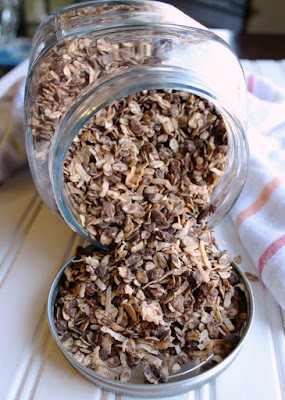 This chocolate granola is made with toasted oatmeal to make it extra delicious. It is just the right amount of sweet and chocolaty and the optional coconut makes it an extra delicious treat! It is a fun way to start your day, but also makes a great healthier sweet treat. There is just something about granola. It is such a simple food, but so good. We love it sprinkled on yogurt and enjoy it both at breakfast time and as a nighttime snack. Granola is pretty good no matter how you make it and there are so many different ways you can do it. The best part is how easy it is to make. adding the rest of the ingredients makes it extra toasty and crunchy. You can even make a super quick stove top granola if you are really in a hurry. However cooking it in the oven may take a bit longer, but really requires almost no effort. Plus you can make a bigger batch! We instantly fell in love with the extra warm and toasty notes that pre-toasting the oatmeal gives when I tried it for the first time. It just seemed like the right thing to do when I was making our all time favorite toasted maple cinnamon granola. Ever since then, we have been giving our oats a bit of a prebake to ensure extra crispy and toasty granola. It adds a bit of time to the process, but really no extra work. Of course granola needs a little bit of sweet, especially with the naturally bitter cocoa powder we added to make this chocolaty. So I turned to one of my favorites to get the job done, Dixie Crystals. We added some coconut for extra flavor and texture. I know some people are strongly against coconut though, so don't let that turn you off if you aren't a fan. You can just leave it out with no issues at all! 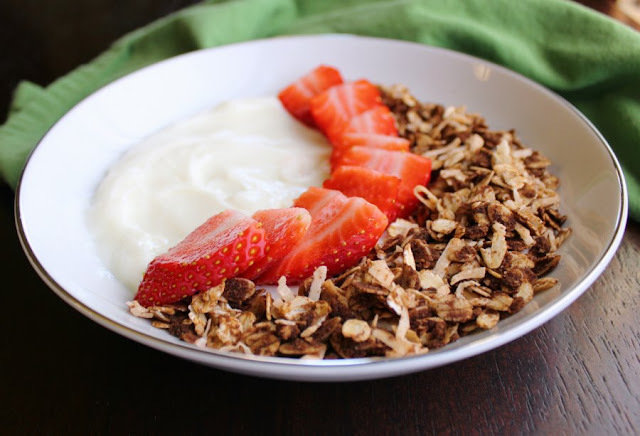 Vanilla yogurt is an absolutely perfect base to sprinkle some granola on. We added some sliced strawberries and it was an instant hit. Of course we sampled some straight out of the jar as well and could have easily eaten the whole batch that way as well. It is hard to keep you hand from going back for just one more taste! I generally don't eat granola as a cereal. I don't know why, it's just not a habit I have ever gotten into. So I am not sure what came over me to make me try some in a little bowl with some milk, but it was SOOOOO good. The rest of the jar didn't last long at all once I got started. It's amazing how fast a few of those little bowls full of chocolate granola goodness can drain the stash! Do you make your own granola? What are your favorite flavor combinations in granola? Don't forget to check out all of the #springsweetsweek fun. There are links to a bunch of great recipes below the recipe card and there are fabulous prizes you can win! Disclaimers below and prize information here. 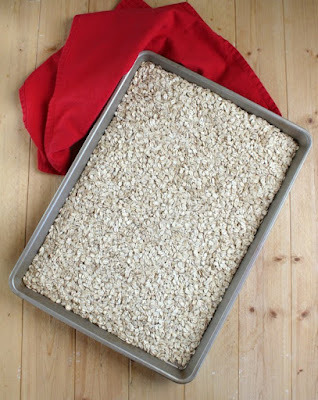 Place rolled oats on a rimmed baking sheet and bake at 350 F for 10-15 minutes or until they start smelling toasty. They shouldn't take on a lot of color, you want them just lightly toasted. In a large bowl, melt butter. 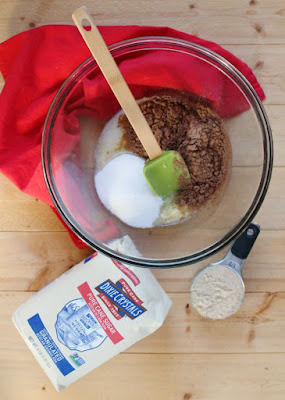 Stir in sugar, brown sugar, cocoa powder, salt, vanilla and coconut. Toss toasted oatmeal in the cocoa mixture and spread out over tray. Reduce the heat to 250 F and bake for an hour, stirring every 15-20 minutes. Yum,so brilliant to add chocolate to the recipe! Yay, happy Tasty Tuesday my love! It's perfect for breakfast and bedtime snack! This is a sure way to get the Teen to eat some breakfast in the morning. Thanks. I think so too, so much better than the store-bought variety! 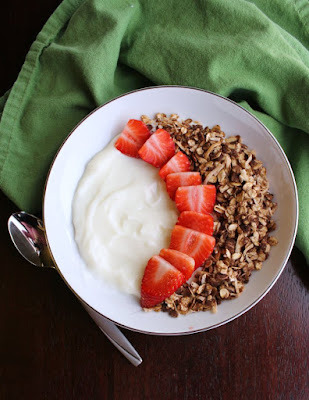 There's just something about homemade granola that makes it so much better than storebought! This chocolate-coconut combo sounds delicious! It's so much fresher and smells so good while it cooks too! I've never made my own granola, but this has me inspired! It is so easy and so good, you really should! Then you have to give it a go! My son in law loves granola, so I need to make a batch for him. A double batch for sure! I always fail at granola. I don't know why. But I will be making yours. Chocolate and coconut? I can imagine it was hard to keep your hand out of the jar. I hope you have great luck this time and the jar is in constant peril if I'm around! I love chocolate and coconut (hello, Mounds candy bars), and chocolate granola - so this would be perfect for a morning snack for me! It is definitely perfect for you! What a fantastic way to elevate breakfast! I love chocolate and coconut together, and this looks so good with the fresh berries and yogurt! The whole combination was so good! Thank you! 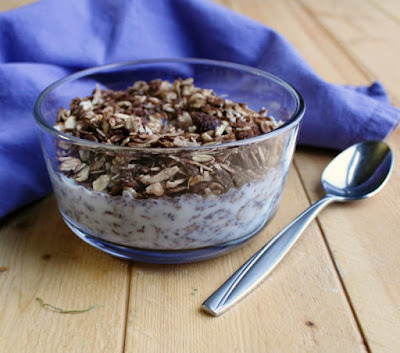 I haven't made granola in ages, and you have me craving it so badly now! Your recipe sounds delicious, and I absolutely love the idea of toasting the oatmeal first. Making this soon! We go though granola phases and we've been in a must make granola stretch for a bit now. It's sooo good! It's been far too long since I've made granola. This has all my favorite ingredients. I can't wait to make it. It needs to be on your menu! 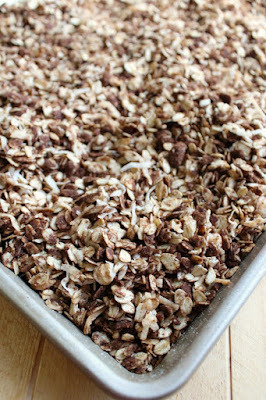 Your Chocolate Coconut Toasted Granola looks delicious! Thanks so much for sharing with us at Full Plate Thursday and hope you are have a great week! We are huge granola fans too. I love trying different kinds, but this chocolate version might be my current favorite!